Michael has agreed to do the interview, well volunteered actually. So any questions fire away, Michael runs the balloon-animals forum in the US. I'm not sure if he has his own personal website where he advertises his balloon modelling to the world, so an extra question, Michael do you have a website? For Services to the Balloon Community. It is in desperate need of an update. Didn't realize the next step was for me answer the 28 questions. 1, What road led you into balloon modelling? I always liked unusual methods of art. I would create things out of soda cans, coat hangers, or anything I could get my hands on. 2, when did you get started with balloons? I started playing with making balloon animals very young, around 7 years old. But I started TWISTING when I was 16. I worked at a restaurant making balloons for kids. 3, What’s your best twisting experience? Every year I do an Anime Convention. I get a booth and accept almost any request. People ask me to make very elaborate things. Most of the requests are for things I have never seen before. The first day is the hardest, since I am adjusting to being outside of my comfort zone. The following three days are a rush of new ideas, designs, creativity. But what makes it best is that the people who get their balloon (insert thing you've never heard of or seen) completely flip. And most of time they are adults. And now, for a brief moment, I get to see them as the "kid" they really are. 4, What is the worst thing that has ever happened to you during a ballooning/entertaining session? Oh, so many bad experiences. Once, I was hired to teach a young kid how to make simple balloons for a class presentation. The kid was afraid of balloons, and didn't want to do this, but his mother was very insistant that he should do it. After an hour I noticed that I hadn't seen the mother for a while. I realized that she had left to run errands, leaving me alone with her son who hates balloons. I called her and asked that she return immediately. She didn't return for several hours. After all this, her check bounced. 5, What do you most enjoy about twisting & why? I enjoy giving people something that they like and will cherish. I have often heard from people, that they still have the balloons I made for them, even through they have long since deflated. At a time when so much is disposable, I like that they choose to hold on to something I twisted for them. 6, What's your favourite age to entertain? They think that they have seen it all and know it all. I really enjoy seeing their eyes go wide and their jaws fo slack. 7, Do you have the same act but vary the presentation for all ages or do you have set acts for different ages? I cater what I do according to the age group, since they all want different things. Young kids want a simple balloon and someone to show them a little attention. Older kids want a fancy balloon to show off. Adults just want a story to tell their friends later. I still hear about it from their firends. 8, What’s your favourite thing to make at the moment? I just figured out a really simple but great 3 balloon shark. I've been trying to figure this design out for several years, and I think I finally got it. 9, What is the most asked for model? Monkeys. I hate making the same thing twice. But if I make one monkey, I'll be making monkeys all night. Which is why I have more monkey designs than anything else. 10, What do you tend to do more of if stuck in the 'balloon production line' model? I'll start telling jokes. I have several routines that lead from joke to joke to joke. I also will talk to the kid or adult who I am making the balloon for and get a bit silly with the conversation. Thanks for your interesting answers so far. 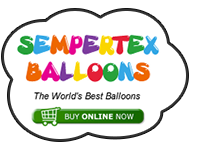 What is you favourite balloon colour that you use? What's your favourite balloon shape that you use? I really like Mocha Brown. For so long the only brown was the dark chocolate. I was very happy when Mocha Brown came out. This may seem boring. but I like to use 260s. For so long I only used 260s, most of my sculptures were design with 260s. Really bad puns and awful jokes. Can I just say that when I first started twisting and googled 'balloon twisting instructions', it was your site that I found first. I loved your home-made videos with your dog on the bed and the funny commentary, and even the sometimes poor video quality. Whenever I was asked by others just starting out it was your site I pointed them to, and I still make that one balloon monkey! My only question is - do you still have the dog? I'm glad you found those blurry tutorials helpful and thank you for pointing people my way. Most of them were made over 6 years ago, when the blurry camera was the best a college student could afford. I'm re-filming all old tutorials in better video quality and adding new ones. Yes I still have Tony. He is now 8 years old and enjoys spending his days sleeping on the couch. Time for the next five. 11, Who is your market aimed at? My target market are restaurants and event coordinators. 13, What is your favourite/ideal gig to do? Busking. It is the hardest by far, but I like the freedom. Plus at the end of the day, you know how well you were received by how much money you have earned. 14, What irritates you most at a gig? Having to chase down my contact. I always show up early so I have time to "check in". 15, How do you book yourself? Most of my bookings come from working in restaurants, busking, and word of mouth. Trying to finish up the questions. 16, What’s the biggest thing you’ve ever made? I made a Ferris Wheel that was 10 feet ( 3 meters) tall and had carts and it could spin. I won 3rd place at Twist n Shout in 2011 for my balloon pirate ship. 18, What advice would you give to someone starting out, or wanting to increase their business? Keep a list of leads (interested people) and contact them each at least once a year. Always have a few balloons and business cards with you. I'd love to teach at a Convention. Currently, I'm trying to forge a path in Online Balloon Instructions. DVD's are very expensive to acquire for many people off the beaten path. Shipping and import costs usually are more than the cost of the DVD. 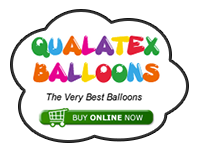 I'm trying to offer a quick and affordable way for people to get balloon instructions. 20, What is your personal goal when you set off to work? Is it money or to entertain etc? I have three goals when ever I work. 1. Have enough fun so I want to keep doing this. 2. Make enough money so I can keep doing this. 3. Try at least one new design. I've found that these help me stay focused and keep my twisting fresh. Wanted to say thank you for your time and all the wonderful responses so far!! I noticed some of the pictures from your Anime conventions, in them you lay out all your balloons on the table. I was wondering what lead you to do this? Is it hard to keep people form pawing your balloons/ keep them organized? I am sure it is a great draw to see the colors all on the table like that!! I laid out the balloons on the table for three reasons. 1. Nobody approaches an empty table. 2. The variety of colors are great at drawing people in. 3. I use the table as my palette. It allows me to find the right color and size very quickly, which greatly speeds me up. Some people do feel the need to touch the balloons. but I lay them out with the mouths facing me, and then I put a buffer row of older balloons closest to them, that I probably won't be using.